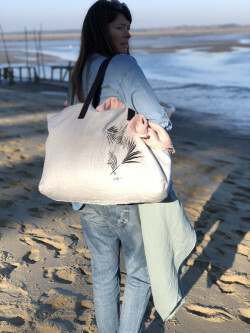 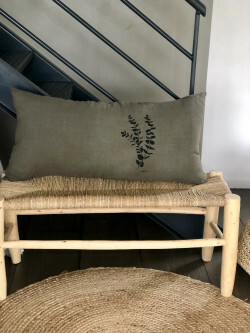 All year long, I use old linen to create unique pieces. 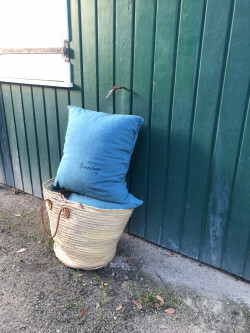 Old linen is often left in its natural state, sometimes whitened. 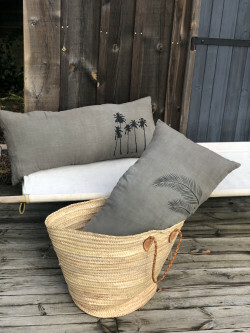 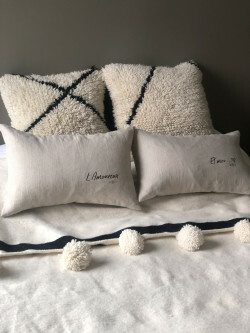 In linen, cotton, half-breeds and hemp, the natural cushion will go from white to ecru, passing through ivory. 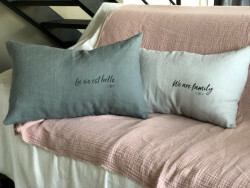 All more beautiful than each other! 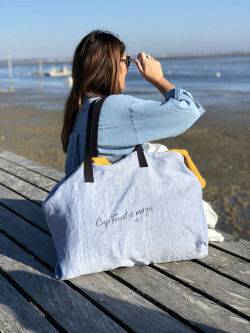 Because everything starts here at Cap Ferret! 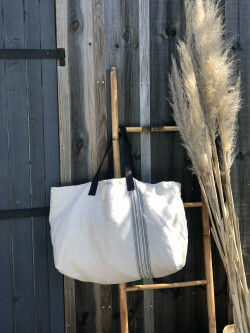 Mix of authenticity and simplicity. 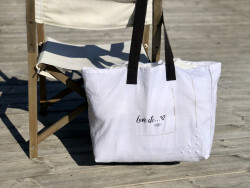 The natural linen, noble and raw with its irregularities, touch and incomparable appearance. 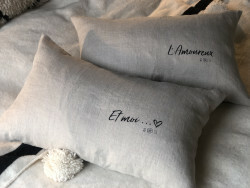 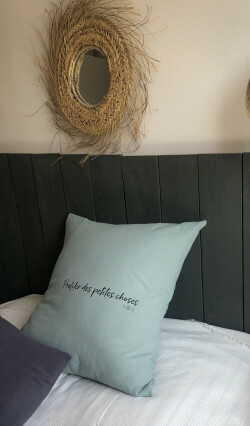 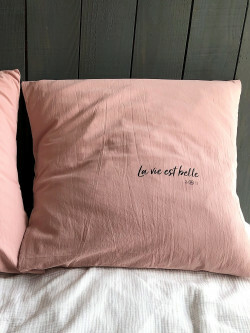 Cushion "La vie est belle"